Candidate wants to communicate with students in new ways. 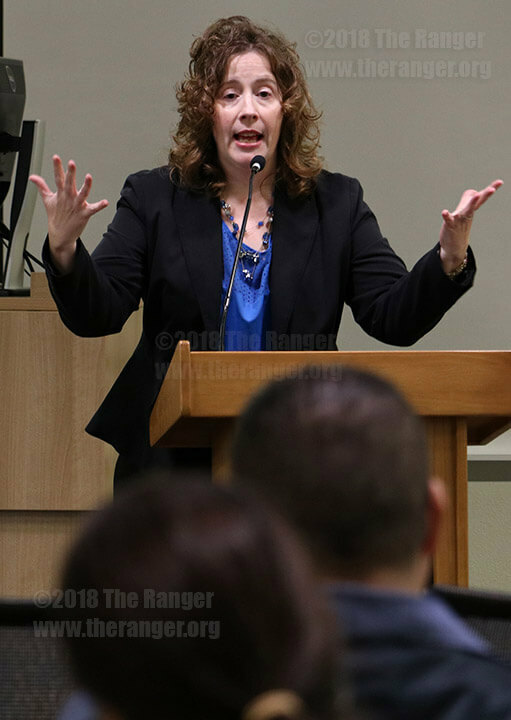 During the second open forum for the dean of student success position Oct. 3 on the fourth floor of Moody Learning Center, dean of student success candidate Dr. Becky McBride talked about why she decided to apply. Henry Castillo, admissions and records specialist, asked McBride to describe the methods she used when working with faculty. McBride, associate vice chancellor of student services at Fletcher Technical Community College, said staff and faculty should be visible around the campus to encourage student engagement. “I think one way to lose touch is if we always stay in our offices, and we’re not visible,” she said. McBride said faculty and staff should be present at events around campus to interact with students and help make them feel comfortable on campus. McBride said she wants to communicate college events to students through Canvas and text alerts directed at students. Jacob-Aiden Martinez asked McBride to describe her experience working with student life, international students programs, veterans’ programs and TRiO Veteran Support Services. 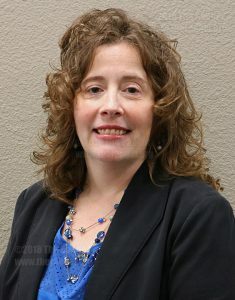 Working with the department of education, McBride said she was able to establish an office to help student veterans navigate college and the transition back into civilian life. In an Oct. 3 interview, McBride said her position at Fletcher Tech was no longer stable because of restructuring. She said the job description she found on this college’s website focused on her areas of expertise, so she decided to apply. Before applying, McBride worked at Fletcher Tech for two-and-a-half years and at Notre Dame College for 13 years. At Fletcher Tech, McBride served as the associate vice chancellor of student services and dean of student success. She is a first-generation college student. McBride has an Bachelor’s of Arts in communication, an MBA in higher education and a Ph.D. in higher education from the University of Toledo. McBride is one of four candidates for the new position of dean of student success at this college. The other candidates are Dr. Vivian Miranda, director of student success at Maricopa Community Colleges; Dr. Valschkia L. Dabney, vice president of the American Business Women’s Association, Greenspoint Chapter; and Dr. Maria Oralia De Los Reyes, assistant dean at Texas A&M University-Kingsville. This college’s executive team are expected to submit a finalist to the board of trustees at the Oct. 16 board meeting at 201 W. Sheridan. For more information, call Dr. Lisa Alcorta, vice president for academic success, at 210-486-0930.